We offer a seam-splitting cornucopia of ocean freight services, including freight forwarding and consolidation and LCL & FCL container management. We’ve made some supremely sweet deals with steamship lines to maximize flexibility. 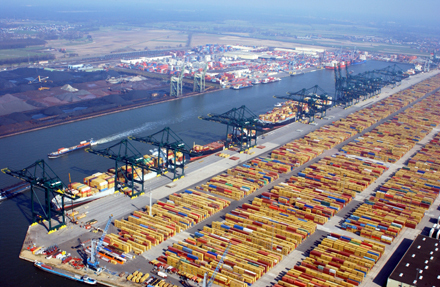 We can float your valuable cargo from our home port in Antwerp to over 800 global destinations. Our team has boatloads of experience honing cross-trade shipments to the pinnacle of efficiency. Whether you need to ship your cargo port-to-port from Ogden, Utah to Stockholm, Sweden or from Chongqing, China to Valparaiso, Chile, we’ll get it there faster and better than you thought was possible.